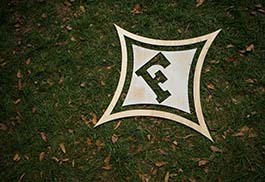 Whether you're a recent graduate or a regular at homecoming, entering Furman’s main gate and being greeted with a “Welcome Home” banner is as good as it gets. We welcome you to experience the nostalgia, the beauty of the season, and time with dear friends and mentors at Homecoming. Save the date for 2018: October 19-20. For more information visit the Homecoming website. Classes ending in '3 and '8 will reunite in 2018. The class of 1968 will also celebrate its 50th reunion. Visit the Reunion pages for addtional details.